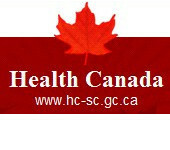 We do not sell and/or ship Narcotics, Controlled or Refrigerated products to residents outside of Canada. All other trademarks cited herein are the property of their respective owners. THIS MEDICATION ORDER REQUIRES LEGAL AND ORIGINAL PRESCRIPTION. How To Order From Outside Canada. Download our Mobile App to Fill new, refill or transfer prescriptions on-the-go. All product names, trademarks and registered trademarks are property of their respective owners. All company, product and service names used in this website are for identification purposes only. Use of these names,trademarks and brands does not imply endorsement.